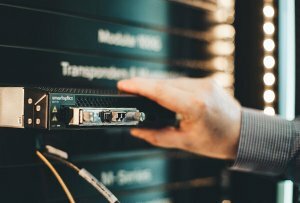 Smartoptics’ multi-channel optical networking solutions are the technology of choice for corporate data centers, campuses and enterprises in general. That’s because they are simple, cost effective, scalable and future proof. And enable huge amounts of data traffic to be transported over a dark fiber network. Smartoptics solutions are simple to design and install lowering both capital and operating costs. Easy to buy. Easy to install. Easy to maintain. Network optimization. For every need. To deal with the constant and ever growing demand for bandwidth-hungry services and applications enterprises require simple, cost effective and scalable networking solutions. Solutions that enable huge amounts of data traffic to be transported over dark fiber networks. With additional capacity set aside for future growth as demand for bandwidth continues to rise. Corporate data centers also need to store and replicate vast quantities of data over their fiber networks. As requirements grow the data replication strategy needs to grow with it, resulting in a headache for the SAN (Storage Area Network) and WAN (Wide Area Network) managers. Governments struggle with the growing demand of transporting huge amounts of data. Traffic made up of highly sensitive information. It is vital that they have a resilient way of transporting sensitive information between sites. They require encrypted systems that are easy to operate and install. Ones certified and approved by leading manufacturers. Easily monitored. And expanded. With no downtime or need to forklift to new platforms. Cloud providers and Internet Exchanges have extreme requirements in terms of network capacity and redundancy. 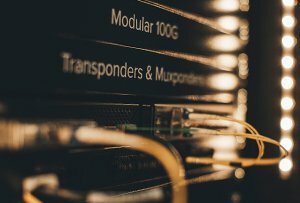 It’s terabits rather than gigabits per second which translates into a need for multiple short- and mid-range 100G connections. The network also needs to be futureproof to incorporate 400G technology and new, best of breed switches and routers. To keep costs down, the optical networking equipment should be open and allow embedded DWDM. It also needs to be scalable and optimized for the data center environment in terms of building practice, have a small footprint, low power consumption and lowest possible latency. Automation and zero touch provisioning is a must to avoid unwanted and unnecessary operating expenses. Recent developments in broadband access for both fixed and mobile networks have all been towards an architecture with points of aggregations located closer to the subscriber. These aggregation points are then back-hauled over high capacity links in a “spine-and-leaf” architecture supporting the steadily growing capacity needs. Irrespectively if you talk about a virtual CMTS architecture for cable TV broadband access, a Distributed Access Architecture (DAA) for 5G mobile, or passive optical access (EPON), the need to incrementally upgrade backhaul capacity in the “second level” of the access network is evident. In this situation the demand for short and medium, low cost, 100G DWDM solutions is obvious. Additional requirements for extra low latency become especially pronounced in the case of mobile access and the protocols used for 5G base station traffic. And the large number of links and sites make automation and self-provisioning a compulsory feature. Is the beauty of 400G worth the wait for your DCI solution? Bandwidth hungry services continue to demand high system capacity and security. Smartoptics increases capacity without the cost and complexity of traditional DWDM system vendors. Moving from operator leasing or managed services to dark fiber? Companies looking to boost return on investment and lower total cost of ownership are turning to Smartoptics to power their dark fiber. Looking to update your network? Too many companies are saddled with overly complex legacy solutions. Power your network with Smartoptics. Easy to install. More economical to maintain.